As the fans continue to recover from another fascinating F4 British Championship season, another name is announced in the 2017 line-up. 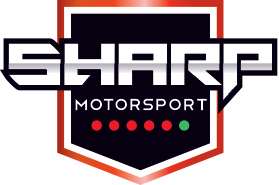 Jamie Sharp will drive for the new Sharp Motorsport team, as he makes his debut in single-seater competition. Sharp is no stranger to the car though, having already completed a significant amount of mileage with the TRS Arden team thanks to his links with the Young Racing Drivers Academy (YRDA). “We decided to start our own team because we wanted to be in complete control and felt that it would be more fun for everyone.” said his father, Joe Sharp. “Family and friends are able to have greater involvement which means we can spend time together as we try to achieve our goals. “Having my own international transport company (Sharp Freight) has also made starting up a team much easier because we already have a lot of the infrastructure in place with vehicles and workshops at our disposal. In 2015, the Rochdale racer became the MBKC Junior X30 Club Champion, following up with the Winter championship a few months later. So after proving himself in the karting scene, Sharp looks to make an impact on the TOCA package. Championship manager David Lowe also commented. “To be able to announce the arrival of two new teams to the F4 British Championship in less than a month is hugely exciting.